The Port of Brisbane is a series of man-made paddocks that were created by dredging up river mud. For this project, the purpose of the cutoff wall was to improve the ground conditions of the paddocks so the Port could continue to build on them and expand. 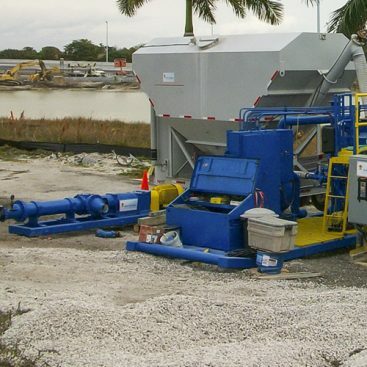 Prior to the installation of the cutoff wall and vacuum system, the ground conditions consisted of hydraulically placed sand and low-strength dredged river mud. In order to improve the conditions, a complete cell with overlying membrane was created to exclude both air and water so that the site could undergo vacuum consolidation. 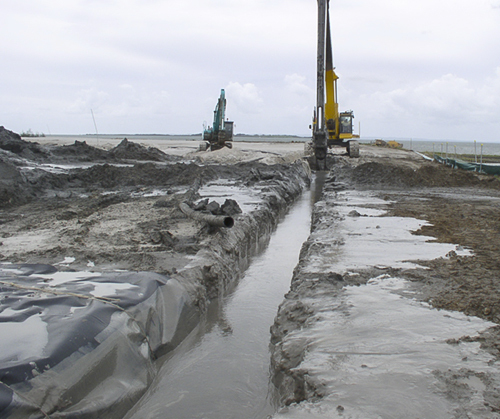 The cutoff wall was a composite of soil-bentonite with a plastic liner placed in the zone above the local water table to prevent air from entering the site as the vacuum was applied to the entire system. 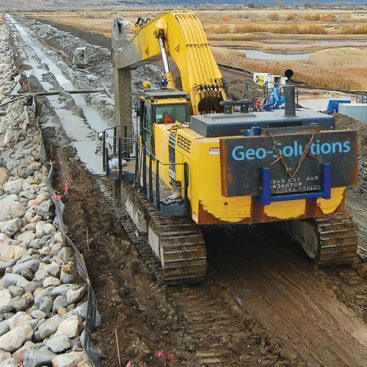 Geo-Solutions teamed with an Australian Contractor to install the cutoff wall and vacuum consolidation system. One of the most challenging tasks was to retain the plastic liner in place while the soil bentonite was placed. 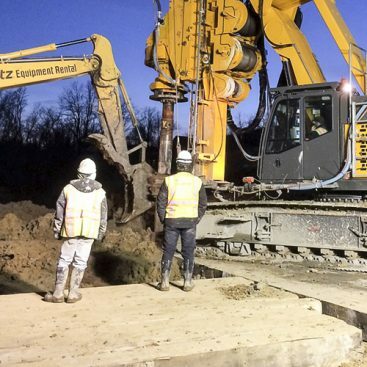 Since the liner is buoyant and only extends part of the overall depth, a custom-designed system was used to temporarily retain the liner in place. After the cutoff wall was installed and joined to a cap of liner material placed over the site, a vacuum pressure of almost one atmosphere (90 kPa) was applied and maintained for a period of over a year, indicating a very tight system. 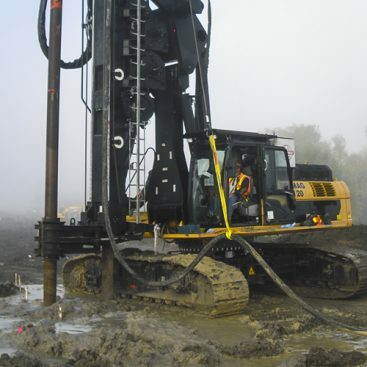 The vacuum consolidation was successful in settling the site almost two meters. This type of consolidation is more rapid and does not require a surcharge like other types of site pre-loading. 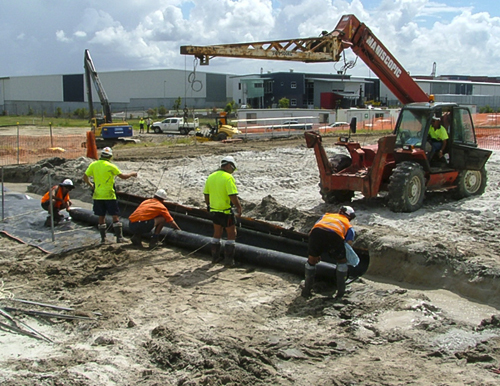 The Port of Brisbane was pleased with the efforts of the construction team and have awarded them a second project using the same methods.